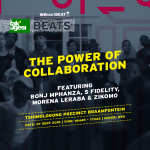 In partnership with Ballantines Whisky, the programme includes panels on: ‘The Future of Music’ facilitated by Tefo Mohapi from iAfrikan.com and featuring guest panellists Riky Rick and Thibaut Mullings; ‘Managing Health Amongst Creatives’ featuring psychologist Thembi Mashigo and panel guests Ayanda Seoka, Mx Blouse and more. 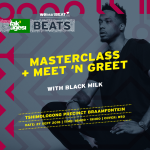 The day will include a Masterclass with Black Milk (USA), The Art of Remixing with Zikomo and close with a ‘Power of Collaborations’ session featuring Zikomo, S.Fidelity , Morena Leraba and Bonj Mpanza. 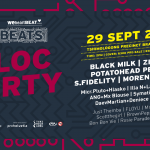 The last week of Fak’ugesi Festival also hosts a special session on the future of African Gaming on the 28th of September, with activities that will flow over into the Fak’ugesi Bloc Party on the 29th. 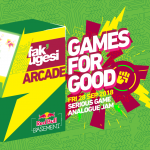 The 28th hosts a full day on gaming in collaboration with Red Bull Basement in South Africa and their focus on Tech for Good. The program includes an Indie Games Arcade and a Games for Good workshop focused games that address issues in South African urban environment in collaboration with Wits Digital Arts. 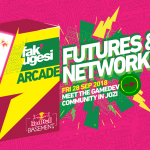 The workshop will be followed by a Futures and Networking session, inviting the gaming community in the Southern Africa region to contribute to an understanding of what and how Fak’ugesi Festival can develop to support African games. This invitation for comes after Fak’ugesi Festival in 2018 says farewell to the A MAZE. / Johannesburg, which is has supported in its program since 2013 as its gaming partner. At the junction of beat construction and live instrumentation we meet the socially conscious rapper, producer and performer embracing critical subject matter in a showcase of mood and genre diversity. This beat wizard gained notoriety on Soundcloud thanks to his outstanding flips and remixes of artists like Childish Gambino and SZA. There is character in his style that makes his sound both distinct and wildly contagious. The Berlin based producer released his debut album in May 2017 and that same year cracked the nod from COLORS studio, one of the most influential online tastemaker platforms pushing emerging genres and future sounds. S.Fidelity displays an acumen for ingenious sampling and capturing emotion within a groove. A shepard and musician, this Lesotho artist combines tradition with futurism in a heady display of genre bending beats and traditional Sesotho lyricism. He is a poet whose words take flight when accompanied by challenging instrumentals. This devastating combination of Subterranean Wavelength’s master beat wizard Micr.Pluto and the eccentric, challenging musician Hlasko cannot be ignored as one of the highlight performances to earmark at this event. A stalwart of WeHeartBeat events, Illa N is able to bring a mood paying homage to his influences while presenting the signature groove construction we’ve come to admire. Langa Mavuso possesses a voice drenched in soul which inspires a spectrum of emotion with every performance. This eloquent wordsmith and performer weaves tales enriched with vernacular, incorporating socially poignant commentary that resonates with their audience. ANG taps into the groove by combining golden era memories with future beats, digging deep into nostalgia and revitalizing her audiences experience with the music. The big boss at WeHeartBeat has designed his signature sound to encompass the vast array of sub-genres and underrated sounds that have set the tone for the narrative of the brand. The sibling duo are as formidable in combination as they are individually. Daev has been pushing boundaries with his sound, doing the dirty work to set himself apart from the humdrum. Denice is a multi-talented artist who constructs her sets to be a soulful journey that infiltrates your senses. Pronounced as “flow”, her bass music inclined sets display a fluidity in the composition of the narrative that is bred from an inherent understanding of the emotion invested into the music. The champion of the underdog, the mother of the undiscovered. Rosie Parade is unafraid to embrace the unfamiliar and present these sounds in a display of musical prowess. There are few selectors who understand how to tell a story quite like Browpepperann. She has an innate ability to curate and cultivate, ensuring that her sets are both entertaining and illuminating. Synonymous with technical skill and impeccable selection, there is no surprise that Johannesburg’s own hip hop scratch master is a DMC champ. His knowledge and expertise combine to deliver a performance that isn’t easy to match. Thanks to the unique perspective of being behind the lens, MrMoeh24 sees the effect music can have on people in its most raw and authentic form. 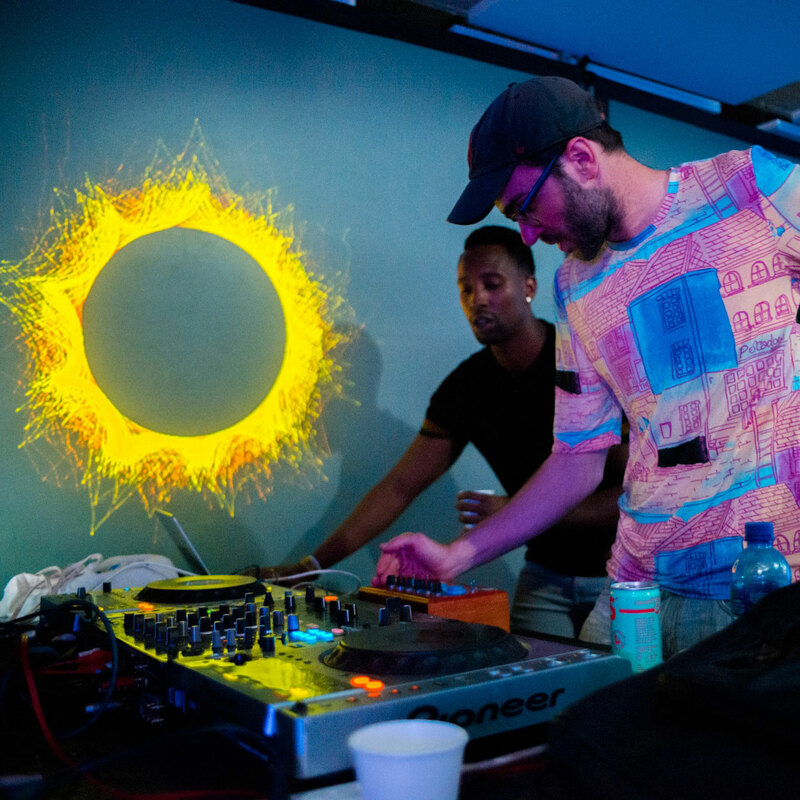 He translates that knowledge into the experience he creates when DJing, moulding the perception of the music as its being shared with the crowd.